Kim debuted as the leader of SS501 in 2005. In addition to their musical activities, SS501 participated in two reality shows — Thank You For Waking Us Up (2005) and Thank You For Raising Us (2006) — that profiled the group's life together. They also appeared in MNet's Idol World in 2007, which showed SS501 doing various missions in Japan. He joined the cast of MBC variety reality show We Got Married on May 11, 2008, with Hwang Bo, who is 6 years his senior. They achieved high popularity acting as a newlywed couple. Due to his appearance on We Got Married, he was cast in the Korean version of Boys Over Flowers (TV Series)/Hana Yori Dango as one of the members of the famous F4. Known as the "Lettuce Couple", Kim and Hwang Bo went on to win MBC's Best Couple Award. The couple made their official exit from We Got Married on December 14, 2008 due to scheduling conflicts presented by Boys Over Flowers. In the hit drama series, Boys Over Flowers, he plays Yoon Ji Hoo (Hanazawa Rui, in Hana Yori Dango). The series was a huge media and ratings sensation in Korea during its run from January to March 2009, garnering a huge amount of popularity for the entertainer. Along with his bandmates, Kim is preparing SS501's new Korean album. The group will kick off their Asia concert in mid-August 2009. 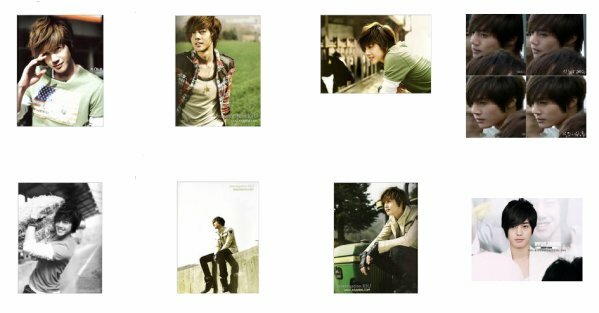 Kim Hyun Joong was recently rated on Section TV as the hottest in Korea.